The Cybex VR3 pulldown is designed to deliver the feeling of security to new and more experienced users, which makes it suitable for use in both highly supervised gyms as well as self-service facilities. 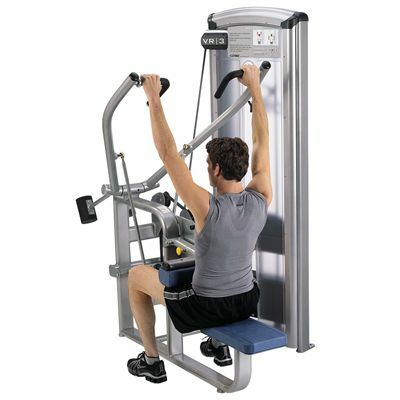 The machine allows for having both arms working together in a fixed plane to make the user feel the exercise is better controlled and thus safer. The diverging path of motion mimics the natural way the human arms move and delivers constant torque at the shoulder for additional safety. Thigh pads can be adjusted to accommodate users with different leg lengths. Dual grips are angled to ensure more neutral wrist position. The machine comes with an impressive weight stack of 111kg (245lbs) offering the most effective workouts. for submitting product review about Cybex VR3 Pulldown.